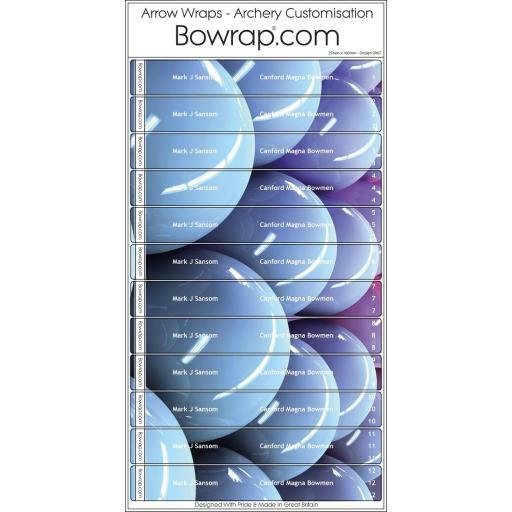 Arrow Wraps are a great way to decorate and dress up your arrows. Turn those bland arrows into a statement. We will print your name, or any text up to 50 characters (inc. spaces). We will also number them to your specification on this awesome wrap design which features Arctic Bubbles, in white, grey and black. They look fantastic.